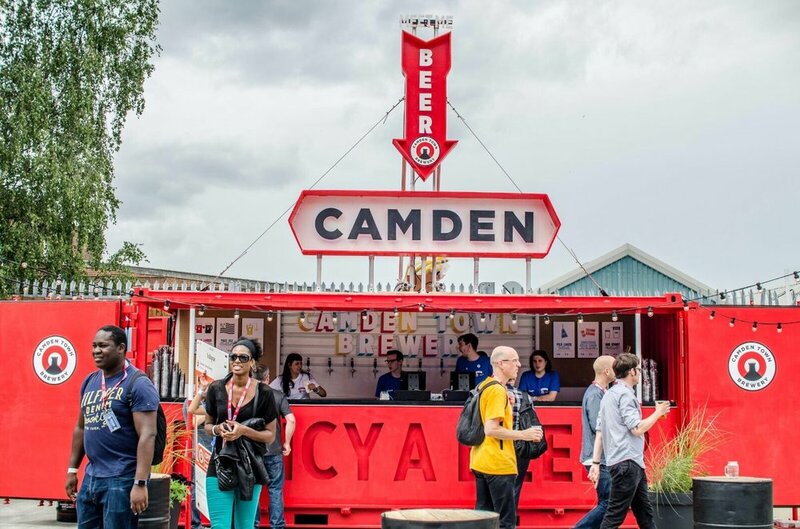 Camden Town Brewery were a leading light in the London craft beer scene known for their vibrate brand, lager-focused beers, fun events and great people. After a hugely successfully crowd funding campaign things looked up. Then they were acquired, by none other than the worlds biggest brewer in AB InBev. That caused consternation amongst the industry where 'selling out' is considered a fate worse than death. After the acquisition they closed the taproom and it felt like they closed ranks. Until July 2017. With the taproom re-opened they followed that up with a Open Day at their shiny new brewery in Enfield. We went to the new brewery to check it out and talk to people about their Camden Town Experience.